Each year the Greater Atlanta YWCA holds an event that is both worthwhile and fun. It is called Open Your Purse. Attendees bid on designer hand bags that have been donated to the YWCA. Proceeds benefit the wonderful works of the YWCA. I donated Open Your Purse 2011 to the YWCA on behalf of the Clara Ford Foundation. It will be auctioned September 21, 2011. If you are attending this event, bid high and bid often! This entry was posted in A Quilter's Life, Collector's Corner and tagged African American quilter, applique quilt, O.V. 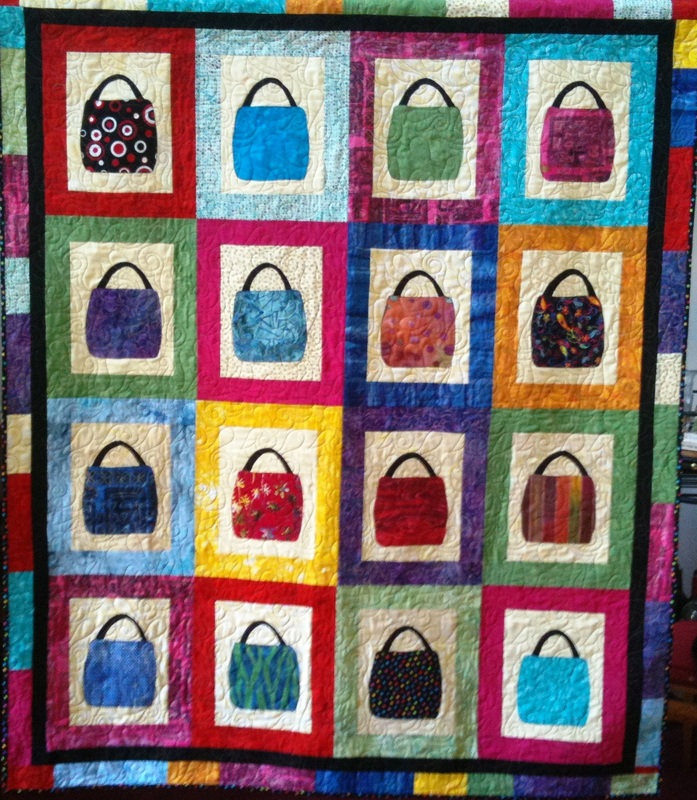 Brantley, Open Your Purse, purse quilt, quilt, YWCA. Bookmark the permalink.